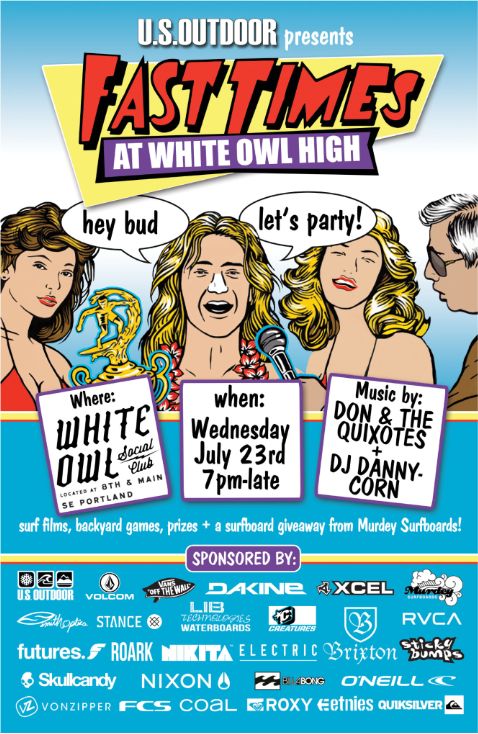 Wed July 23 at White Owl Social Club! Thrilled to surf out with US Outdoor for the third year in a row! Be there. . .